The IDEAS Method | by Eric W. Stein, Ph.D.
by Eric W. Stein, Ph.D.
Take the Creative Strengths Assessment! Want to find out how creative you are in different areas? Take our free IDEA Creative Strengths Assessment. The confidential results will be emailed directly to you and ties in with the books. The IDEAS methodology is available in two books written by Dr. Eric Stein and published by Business Expert Press. 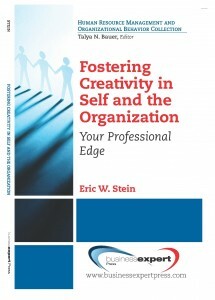 The first book, Fostering Creativity in Self and the Organization: Your Professional Edge, published by Business Expert Press, helps individuals, and their organizations, learn to maximize creative potential. The book explodes the myth that creative people are born rather than developed through practice and hard work. All people are creative and have the ability to be innovative, not just artists, musicians and writers. The Professional Edge defines these skills and demonstrates how to develop them. These are the skills required of 21st century professionals, which can be developed through awareness, coaching and practice resulting in mastery. This book will appeal to anyone seeking to advance his or her career. It will also be of great value to human resource executives who want to guide the development of a workforce that has the skills to effectively compete in fast-paced competitive industries or to open up new and innovative blue ocean market spaces. 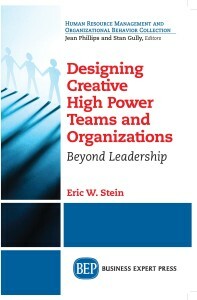 The second book, Designing Creative High Power Teams and Organizations: Beyond Leadership, also published by Business Expert Press, focuses on developing creative high power teams and organizations using the principles from the first book. This book is written to unleash creativity, improve performance and promote innovation. It examines the critical success factors to developing high performance teams through the implementation of robust methods of selection, knowledge sharing and leveraging the power of roles. This book also explores the strengths and weaknesses of existing models of organizations, which tend to view organizations as machines to be fixed as opposed to maximizing their creative strengths and ability to learn. Senior executives will appreciate the analysis of the pros and cons of the various strategies for business transformation, which can help them to build creative high performance organizations infused with energy and innovation. Copies of both books are available through Business Expert Press, Amazon, Barnes and Noble, and other bookstores. Please go to the Shop for more information. 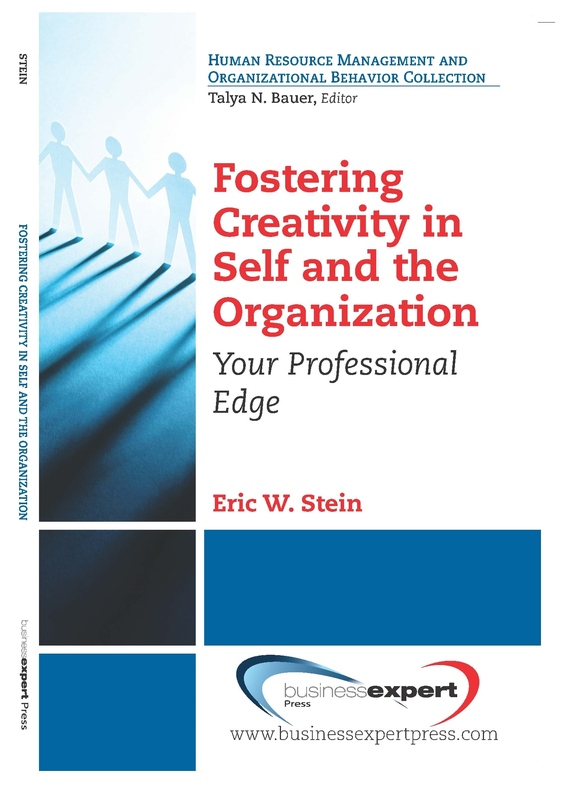 Fostering Creativity in Self and the Organization: Your Professional Edge may be used for career and personal development. It also may be used as a text for MBA, leadership, university, and corporate development classes that focus on creativity, innovation, change, leadership and transformation. 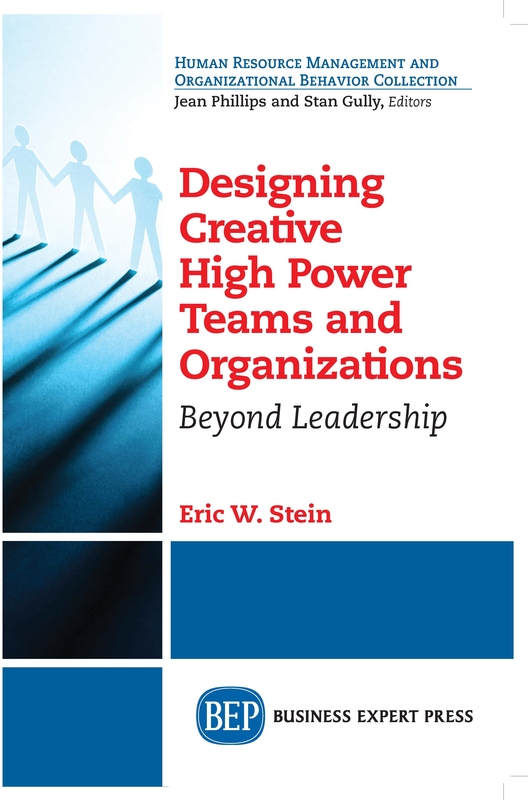 Designing Creative High Power Teams and Organizations: Beyond Leadership will be a valuable asset for team leaders and corporate executives who need to transform their teams and organizations into creative and dynamic places. Both books will be of interest to business school professors looking to teach creativity, leadership, innovation and change management. In the second book, we focus on the application of these ideas to the development of creative high performing teams and organizations. For an overview of the topics in the book, please go to the Content section of the site. To purchase the books, please go to the Shop. Copyright Eric W.Stein 2011-2017. All rights reserved. The IDEAS Method (tm) is a trademark of Eric W Stein.